As we all know, “Mishenichnas Adar Marbin B’Simcha – when one enters into Adar, we increase our joy” (Taanis 29a). There is a discussion in the Achronim as to whether this increased level of joy commences with the first day of Adar I. The Sefer Adar U’Purim by HaRav Yoel Schwartz, as well as the Aishel Avrohom (Butshatsh) both learn that in fact the joy commences with Adar I. HaRav Schwartz understands this from the term “Mishenichnas,” which indicates that the initial entry into Adar warrants the increased degree of happiness. He adds from the Sefer HaToda’ah (by HaRav Eliyahu Kitov, z”tl) that the Mazal of Adar is “Dagim,” which is “fish” in the plural (as opposed to dag, in the singular), in order to indicate that the Mazal of both months of Adar are identical, and that they are both to be infused with joy. The Shaalos Yaavetz (2:88), however, regards only the Adar which is close to Purim as the Adar of simcha. If we are “strict” in this matter, and rule that we must begin our increased simcha begin on Rosh Chodesh I, how can we begin to manifest it? The Sefer Nimukei Orach Chaim (to Shulchan Aruch, Orach Chaim, Chapter 685) writes that each person should engage in activities or do things that make him personally happy. Not the wild things that are unfortunately prevalent today in the guise of happiness. Happiness is contentment – the greatest happiness is השמח בחלקו, he who is happy with his lot – for that is the talilor-made situation that Hashem has chosen for you. HaRav Schwartz adds that it is a nice custom to post signs in your home reading “MiShenichnas Adar Marbin B’Simcha” – in order to have a constant reminder to feel and experience an increased level of simcha. Increased joy for two consecutive months – yet another benefit of a Jewish leap year! Additionally, HaRav Chaim Kanievsky, Shlita, is of the opinion that “Mishenichnas Adar Marbin B’Simcha” applies to Adar I as well, based on the fact that there is a mitzvah to especially increase our Seuda on Purim Katan (the 14th of Adar I), as is codified by the Rema in his very last words to all of Shulchan Aruch, Orach Chaim (Chapter 697). HaRav Kanievsky continues that the way we can express this simcha is “If one has a siyum, or other simcha to make, he should make it in Adar” (Derech Sicha, p. 187). We can further say with regards to Mazel Adar Dagim; why dagim-fish? What do fish have to do with simcha? Every instance of renewal brings joy. Joy is a natural reaction to something new. Rabbi Shimshon Pincus zt”l writes that this is the reason why the Mazel of Adar is fish. Fish have a unique characteristic that they are the only creatures that propagate in multitudes. According to the calendrical system that the year starts with the month of Nissan, Adar is the last month of the year. At the conclusion of the year there is a feeling of yiush, disappointment; a whole year went by and what did I accomplish? The symbolism of the fish at the end year is that one should look ahead at the renewal represented by fish that are fruitful and multiply – this is the epitome of renewal as a new brood of fish are born. The newness inherent in fish, as with every form of renewal should bring to mind feelings of joy and happiness. 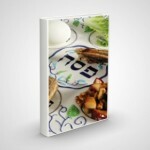 Thus, Mazel Adar Dagim – fish – is the symbol of simcha. Let’s take that simcha and carry it throughout the year. The year is a cycle. Even as one year ends, a new year begins without pause, it’s like a never ending circle. Although there is a time for everything, לַכֹּל זְמָן וְעֵת לְכָל־חֵפֶץ תַּחַת הַשָּׁמָיִם… עֵת לִבְכּוֹת וְעֵת לִשְׂחוֹק עֵת סְפוֹד וְעֵת רְקוֹד:, There is a time to cry and a time to weep, a time to mourn and a time to dance, nevertheless, those times imply a change in circumstances. However, simcha, joy, is a year-round endeavor. In Adar we need to do more to bring out the joy inherent in this most auspicious month. 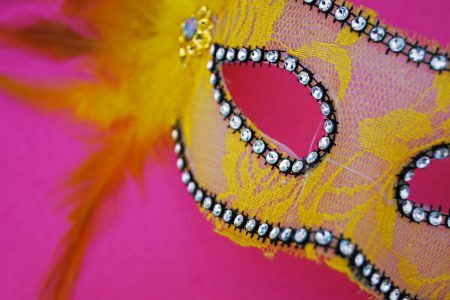 You can read more about Adar, Purim, and Mazel Adar Dagim here.